Back when I was a report processor with a police service, I remember being in my cubicle one day and feeling a profound sense of security – I mean, besides the fact that I was working in a building filled with police officers. By that point, I’d been doing the job — taking incident reports over the phone from police officers and inputting the data into a computer program — for over a year, so was familiar and comfortable with the process. The occasional call would still come in that threw me for a loop but for the most part, the stress level was definitely manageable. I remember thinking that day how safe I felt in my little cubicle. I was warm and cozy, had a cup of coffee and a yummy treat sitting on my desk. I was likely looking forward to going outside for a walk on my one forty-minute break (during a 10 hour shift). Hello! Earth to Maryanne… you’re not just in a cubicle, sweetheart, you’re in a CAGE! Wake up!! What’s wrong with you? You’ve fallen asleep at the wheel…what happened to writing a book? Making the world a better place? Starting a business? Have you so numbed yourself to your own dreams and your concept of freedom that you actually believe you’re HAPPY sitting in a cubicle forty hours a week, taking dictation over the phone? That’s NOT writing; that’s TYPING. Secure. Manageable. Safe. Comfortable. Familiar. Those were the words I was describing my work with. That alone should have been my wake-up call. But it wasn’t. Now don’t get me wrong: there is absolutely nothing wrong with the job of report processor. It’s just that I wasn’t taking significant steps in my non-work time to further my goals of becoming a writer. What I was doing in my down-time was complaining about having to go to work at a clerical job to pay the bills…and then telling myself that maybe the job was good enough after all. Well you know what? If we lie to ourselves long enough, we’re going to start to believe our lies as truth. Sadly, it took my husband’s sudden death several months later to wake me up. And the fact that he died of brain injuries as the result of stepping through an unmarked false ceiling because it appeared to be a safe surface (there was no safety railing warning to warn him of the danger) is perhaps no coincidence to my own journey. 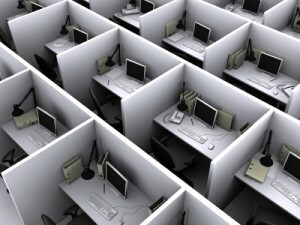 I never returned to the false safety of my cubicle. I finally realized that despite its cozy feel, it was the most dangerous place in the world for my soul to be. Instead, two weeks after his death, I started writing what would become my first book, A Widow’s Awakening. Every day, we have choices as to how we are going to live: are we going to stay with the safe, familiar and comfortable – even if our situation is no longer working? It takes tremendous courage to make a change. But one way or another, the Universe finds a way of getting our attention. Then it’s up to us to get ourselves back on back on track. Maryanne Pope is the author of A Widow’s Awakening and the upcoming book, Barrier Removed; A Tough Love Guide to Achieving Your Dreams. Maryanne also writes screenplays and play scripts, including Saviour. Maryanne is the CEO of Pink Gazelle Productions Inc and the Chair of the John Petropoulos Memorial Fund. Great blog post Mary Anne. Thank you for writing it and thank you for sharing. I reeeallllly like it! It’s very thought provoking; makes one stop and think about how one’s comfort zone at times needs to be challenged, or at least given a good shake once in a while. Despite what we have been taught to believe since childhood…comfy/cozy is not always motivating or inspiring. Nor is it what we really need to keep us invigorated in our jobs, or our lives for that matter. I’ll read it again…I think it’s got lots of layers to think about. Love it – this is my philosophy to a “T”, for better or worse! Could not agree more. Great post Maryanne! I always feel more alive when there is a new challenge ahead! of life rather than the unpredictable. Keep up the good work. Great post! I’m often afraid of stepping outside the comfort zone – usually to do with money – but every time I do, it seems to make me happier! Love this post. Reminds me of the quote: “And the day came when the risk to remain tight in a bud was more painful than the risk it took to blossom.” Anais Nin. Wow! Hits home, Maryanne… now what to do with this insight?? ?